That’s right. You’ve just been ninja chopped. I bet you didn’t see me coming with my stealth like ninja skills! In case you haven’t guessed yet, ninjas are the theme of the week! 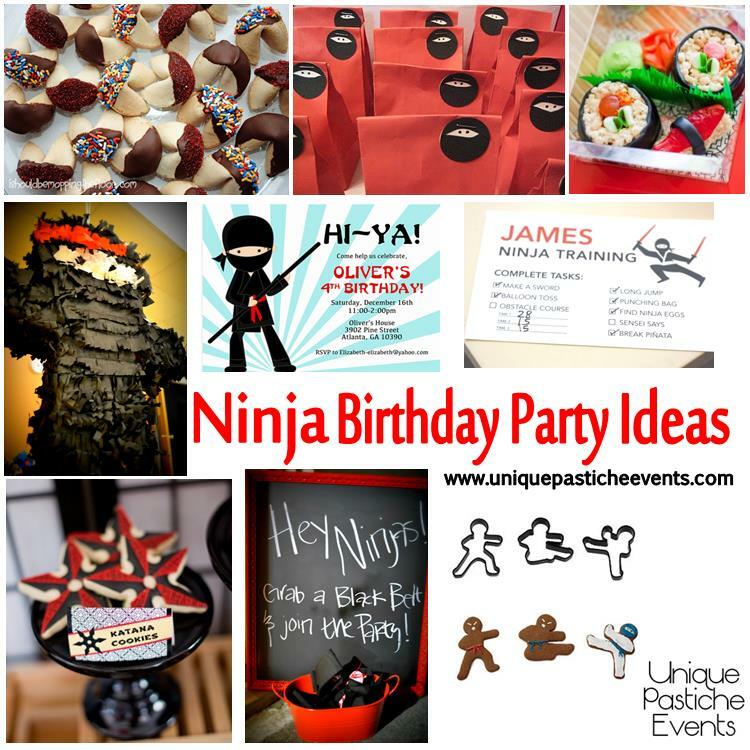 This week’s inspiration board is focused on a boy’s birthday party – ninja style! Make sure to check out my Ninja Party board on Pinterest. I’ve got tons of ideas and activities there as well. Ninja Party Bags – Shared by Haven’t You Always Wanted A Monkey? If you were a ninja, what would your enemies know you as? « Is This The Future of Wedding “Norms”? I’m loving the ninja star cookies! Thank You for sharing this cool BD ideas at the Fluster Buster party! My boys would love this theme, they’re always running around the house acting like they’re ninja’s. Thanks for sharing on Fluster’s Creative Muster. Now that you found our party I hope that you’ll continue to join us every Tuesday evening.